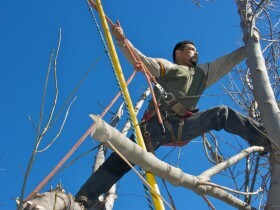 Tree removal is by no means an easy thing to do yourself. Felling and removing a tree is a dangerous enough proposition even if the tree is out in the middle of a field. But when you are working in a typical Austin area back yard, with other trees, fences, houses, power lines and neighbors’ properties nearby, things quickly start to get a lot more complicated. If it doesn’t fall where it’s supposed to, the tree can be more than an inconvenience. It can mean property destruction, injury or even death. But then the alternative is to leave a sick, dying or dead tree in place becoming not just an eyesore, but a hazard when dead limbs can come down in a high wind and fall onto roofs or cars. Worse yet, the entire tree can come down in bad weather and cause even bigger problems. Even an otherwise-healthy tree can be a problem if it’s growing too close to a power line or a building, or if the roots are interfering with a sewer line or cracking a sidewalk. In some cases, it might actually be incumbent on the power company or the city to remove the problem tree. A Texas thunderstorm can mean trees that are uprooted or felled by high winds and rain. While this is a different sort of tree removal problem that doesn’t involve felling it itself, it’s also the last thing you want to have to deal with, especially if your power lines or down or if your roof, siding or windows are damaged from the storm. 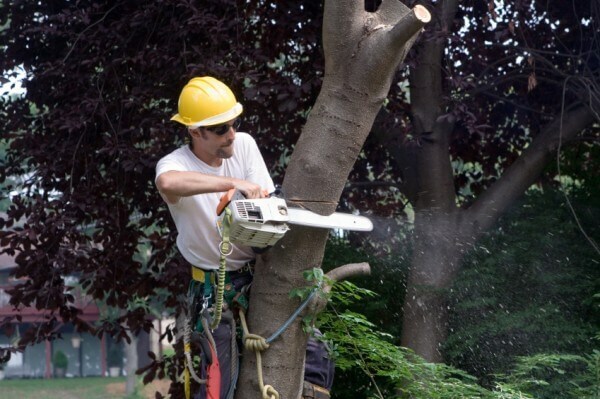 Let Austin tree removal specialists cut up the tree, the branches and leaves and haul them off for disposal so you don’t have to. 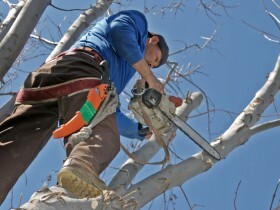 Another common problem faced by Austin tree removal companies is “trash trees” such as white mulberry, Arizona ash or redbud. These invasive nuisances grow quickly, spread and can practically take over a yard in a year or two. That rapid scheme of growth also means that they are usually soft wood and will be susceptible to rot, insects or disease and an early death. It’s best to stay on top of the invasive trees and head them off before they get a chance to take over, but if they’re too big to handle yourself, don’t chance it! 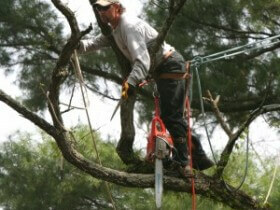 Call an Austin tree removal specialist to come in and do the job.